Superhero Students who bring more awesome to the world! 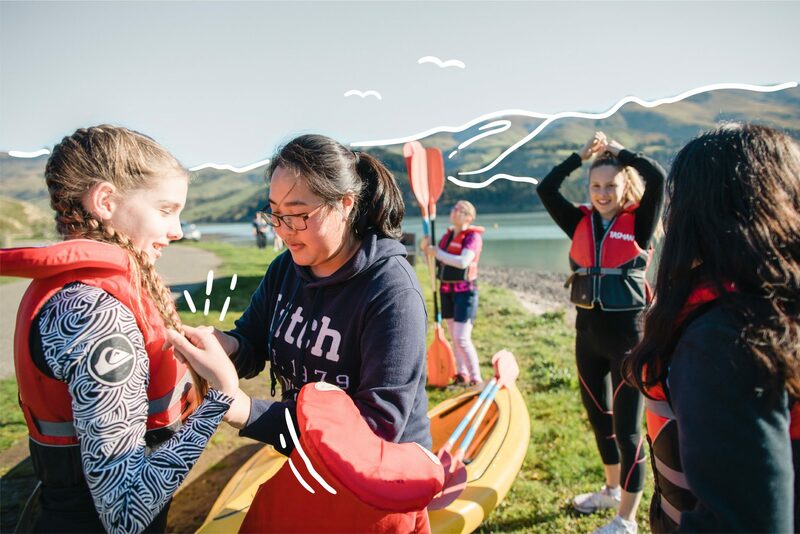 | GirlGuiding New Zealand - You be the guide! > Blog > Superhero Students who bring more awesome to the world! Our volunteers are at the forefront of our work, empowering girls and young women to develop into confident and adventurous leaders in their communities! Whether teaching them about other cultures through games or exploring the outdoors while camping, their work is truly at the heart of what we do. Since it’s Student Volunteer Week, we’re excited to share with you the stories of some of our volunteers, who find the time between their studies, to help us inspire the next generation of girls and young women! Caitlin is in her second year at Auckland University, doing a BA in Psychology and Communication. She has been involved in Guiding since she joined as a Pippin, at 5 years old. Over 15 years later, and with some breaks in between, she’s now leading a group of Brownies (7-9 years old) in their adventures, teaching them new skills and encouraging them to try new challenges. Unlike Caitlin, Mia has been involved in Guiding for only a little over a year. What started with one comment on Facebook, turned into one year of fun and adventures leading a group of Guides (9-12 years old). While balancing practicums from her Education Degree, Mia is learning the ropes of Guiding, improving her leadership and communication skills by working with both children and adults. More than fun and adventure, the fact is, 93% of New Zealand employers believe that volunteering is a credible way to get real-work experience (according to Seek Volunteer research). So, what are you waiting for? Go here to see how you can join us to bring more awesome to the world.